As one of the premier builders in Medway Allied Construction Elite has many years experience and have built up many references and recommendations. 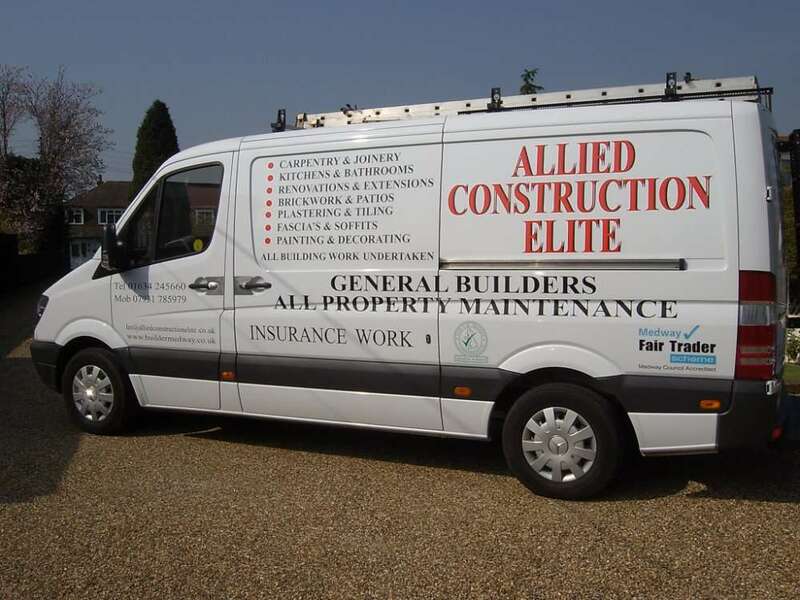 Allied Construction Elite offers a very professional service and are fully qualified. Our team are highly experienced, enjoying a lot of repeat business and recommendations from existing clients. We pride ourselves on offering an excellent service at highly competitive rates. To get your project started all you have to do is give us a call and we will help you to turn your building & construction ideas in to a reality! Property maintenance and all building work undertaken in Medway & all surrounding areas. Builder Medway – FREE Quotes! Based in Medway we can carry out any building tasks that you can think of, from loft conversions, garage conversions, extensions to landscaping and basic property maintenance. Allied Construction Elite has been trading for many years and offer extremely competitive quotes. We take great pride in our work so please contact us for a FREE no obligation quote today.